Did You Just Call Me a Good Boy? So, I’m toying with the idea of a doggy a day painting for the rest of the summer. I have roughly three months to get better at pet portraits and it’s certainly not hard to find subjects! I have a bunch of good boys and girls walking by my store every day with their owners. I’ll just start asking them if I can take their picture. Did You Just Call Me a Good Boy? 8×10″ pastel on gator board with clear gesso, double matted, no frame. $145. 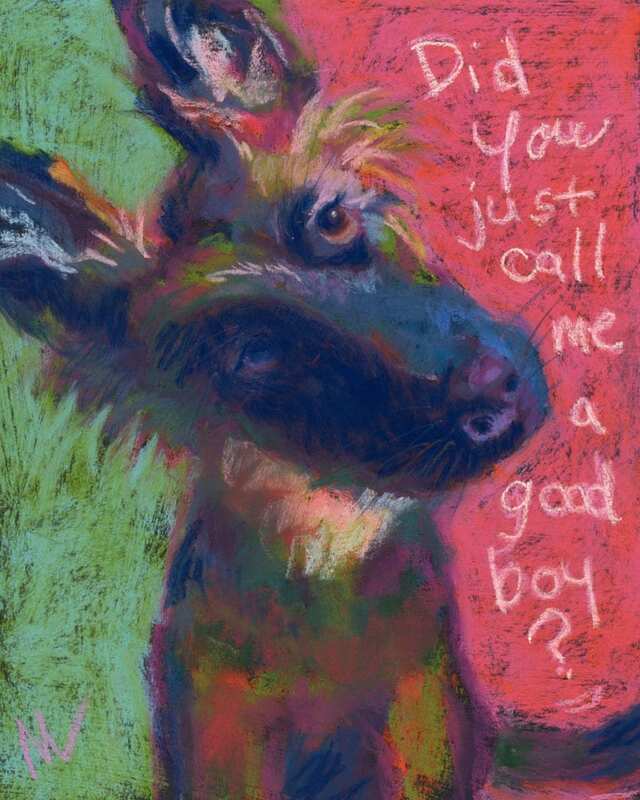 This entry was posted in A pastel a day, Animals, dogs, painting a day, Pastels and tagged dog portrait, doggo, german sheperd, good boy, painting, pastel, puppy, shepherd on June 14, 2017 by Marie Marfia.